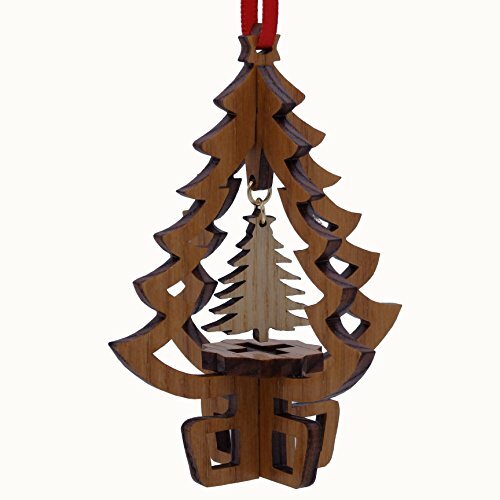 Designed and made in NH, each ornament is a tiny multi-dimensional sculpture made from natural wood. In the center dangles a tiny Christmas tree charm made from blonde wood. 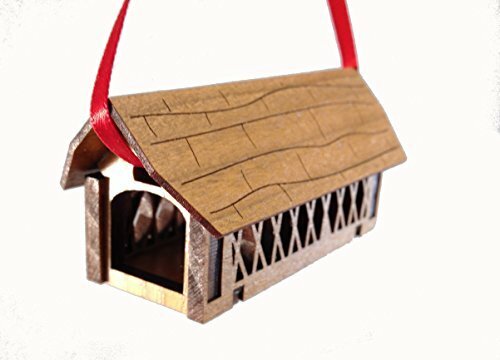 Comes with hanging ribbon attached.